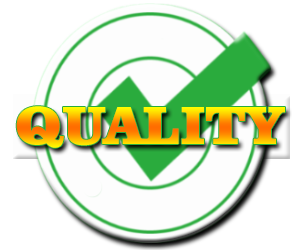 MetaVega’s promise is to always deliver high quality products with 100% customer satisfaction and to always conduct business with the highest level of integrity. MetaVega prides itself on going the extra mile to build a personal individual connection with all our retailers and wholesalers as each and every one are a top priority. Our current focus is within the lighting segment of the market with active plans of expanding our product line within this 2019 calendar year. We continue to channel ourselves around continuous growth, expansion and competitive pricing to meet customer needs. When it comes to product quality, we start from the beginning. Throughout our processes, we take great care to ensure that our products will ultimately offer the highest standard in durability, reliability and efficiency. Metavega’s most vital asset is our customers. Without you, we would not and could not exist in business. When we satisfy our customers, they expand our clientele network through positive feedback and referrals. This inturn provides us with the necessary growth and expansion to continue to exceed our customers expectations. Metavega takes pride in instilling the quality of honesty and strong moral principles in everything that we do. Our strength is built from the ethical standards we place on our community, customers and most importantly ourselves. The value of trust that others have in us goes beyond anything that can be measured because it brings along with it endless opportunities and endless possibilities.